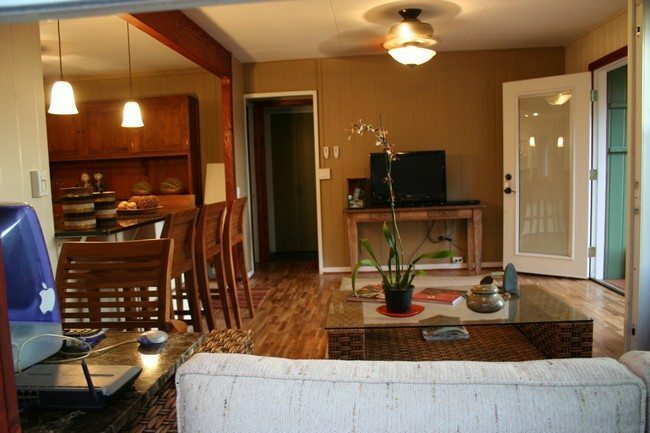 Zen living rooms usualy provide a peaceful environment, where people can relax. 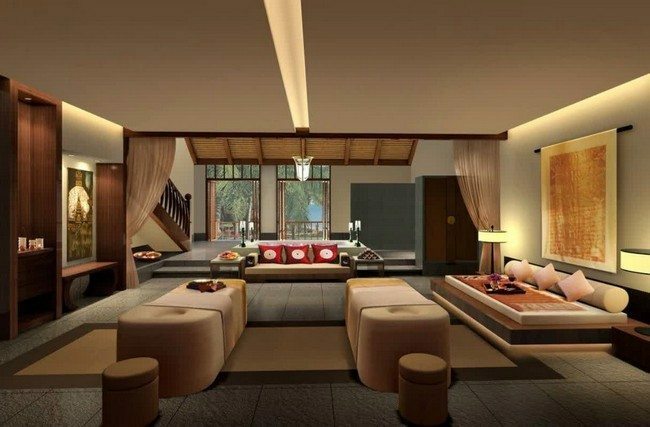 With furniture repositioning and simple lighting adjustments, the Zen living room look can be achieved easily. 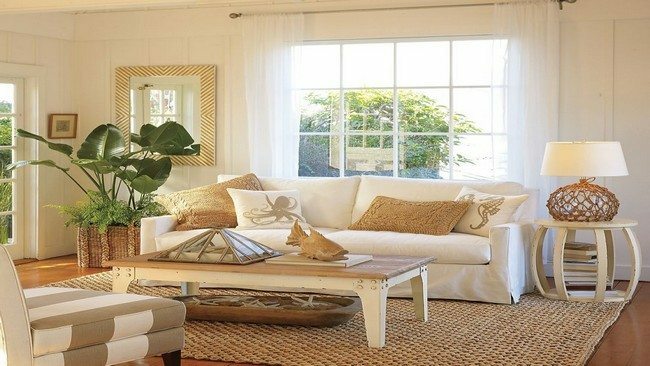 To achieve the perfect Zen look for your living room, use neutral colors instead of bright colors. 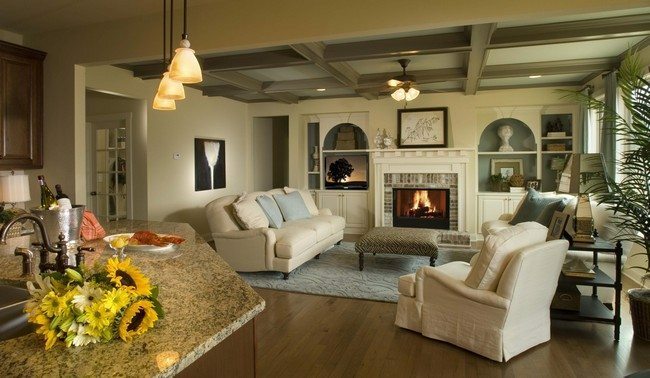 Neutral colors create a peaceful and relaxing atmosphere. 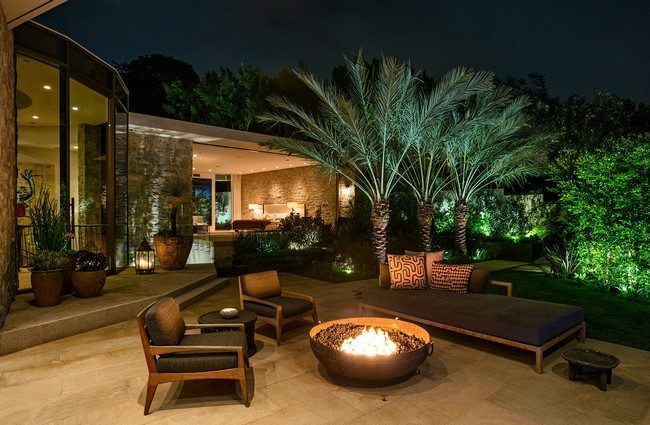 Zen designs make use of dim lighting to create a relaxing mood. 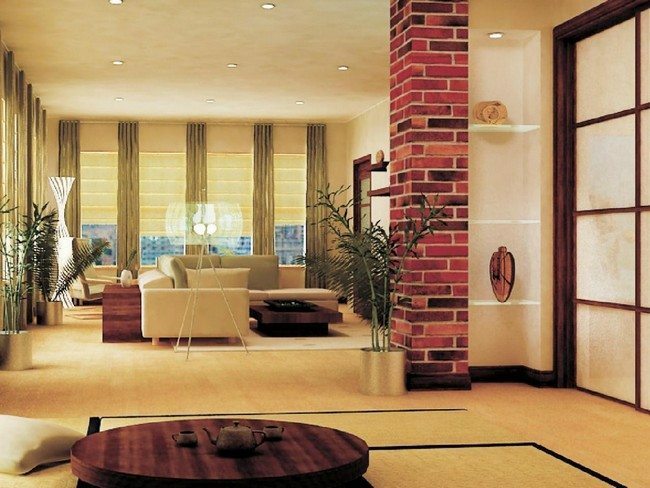 This living room is a blend of Zen and open living room designs. The aquarium provides a peaceful and calming environment. 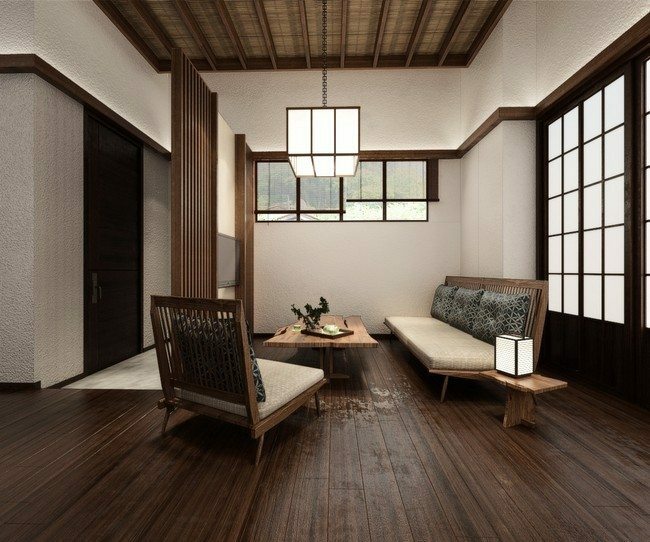 Zen interior designs usually use natural wood window frames. 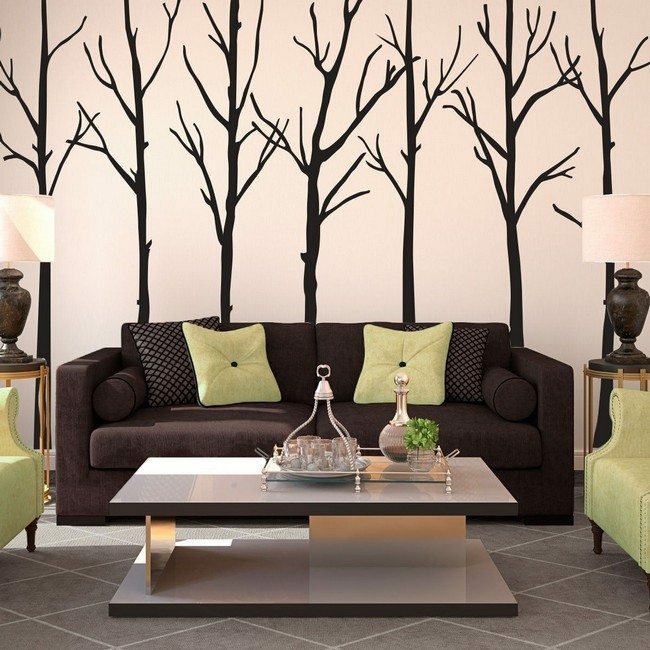 They are a great design idea because of the simplicity and natural appeal they bring. 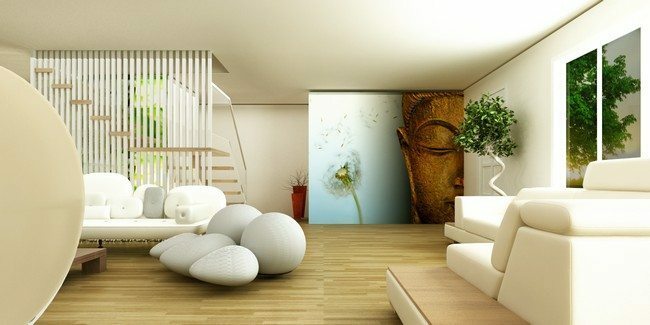 Most Zen living room designs usually incorporate simple wall art. 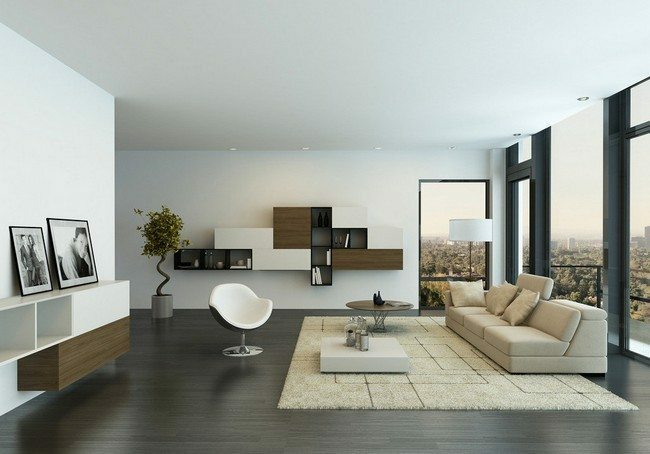 Zen design style usually keeps furniture and decorative elements at a minimum. Hanging lights are used in the kitchen segment to set it apart from the adjoined living room. 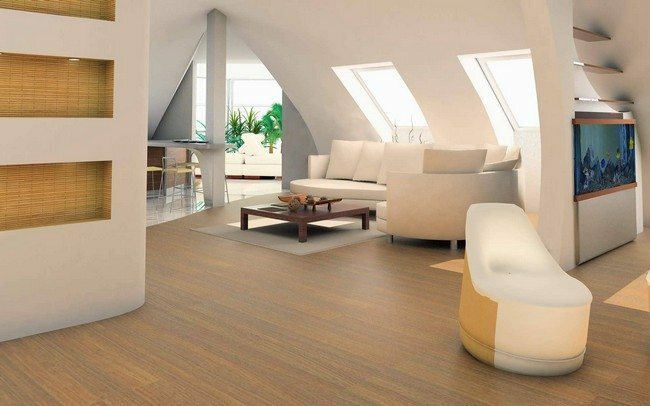 The white-colored walls and ceiling contrast beautifully with the dull tone of the floor. 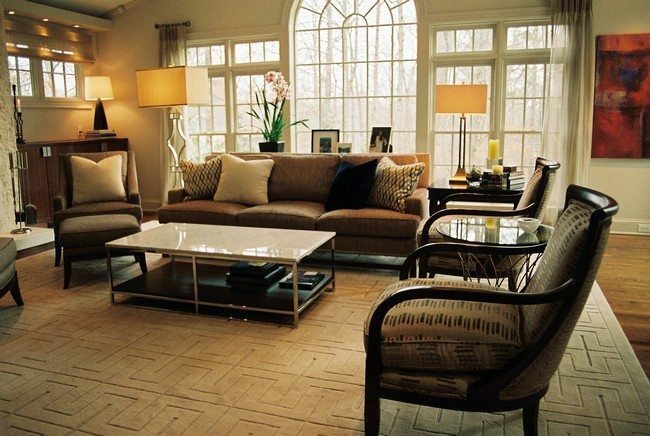 The low seats and low coffee table provide an inventive area where you can sit and have tea. Those who do not want to sit on the floor can sit on the low seat. 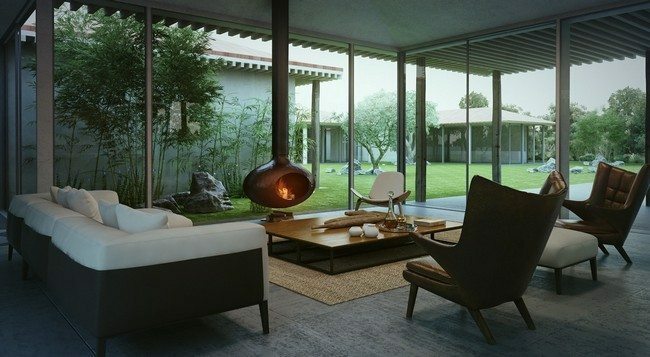 A Zen living room has an even greater appeal if it offers the view of the outside environment, with beautiful trees and plants. 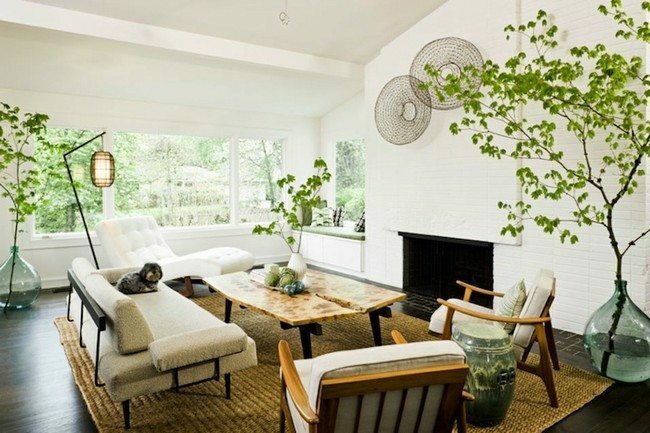 Zen living room designs usually incorporate potted indoor plants. Here, beautiful glass pots are used, creating a fresh twist. 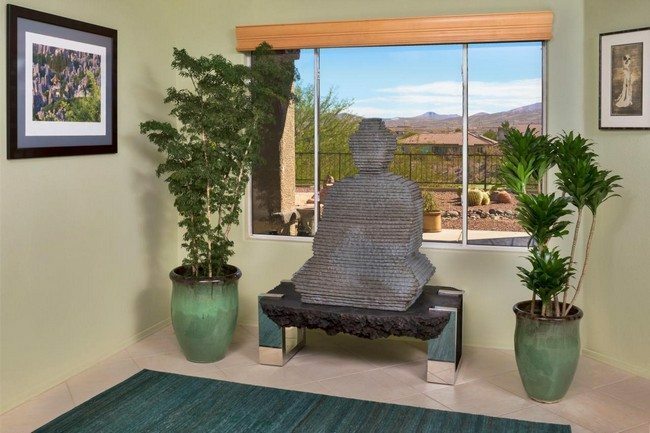 Zen interior designs incorporate Buddha sculptures and other spiritual artwork.